MOUNTAIN VIEW, Calif. — Omnicell is showcasing the industry’s most comprehensive and customizable platform of medication management solutions at the HIMSS19 Conference & Exhibition, taking place February 11-15 in Orlando, Fla. The Company’s industry-leading medication management platform leverages automation, predictive intelligence, and expert services to help improve patient safety, simplify workflows, and decrease costs across health systems. 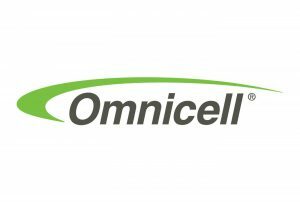 Omnicell will also showcase the Autonomous Pharmacy vision, a roadmap designed to develop a zero error, fully automated medication management infrastructure. According to the 2019 Healthcare IT Demand Survey from Damo Consulting, digital, advanced analytics, and artificial intelligence (AI) are top spending priorities for healthcare executives in 2019. With $450 billion spent on medication management annually, maximizing technology investments, and real-time, cloud-based reporting, analytics, and benchmarking can help drive more strategic decision making for improved business and clinical outcomes. Today’s pharmacy care delivery system is driven by outdated workflows and manual processes – with pharmacists spending 76 percent of their time on non-clinical activities according to a recent American Society of Health-system Pharmacists national survey. The vision for Autonomous Pharmacy integrates a comprehensive set of solutions powered by the Omnicell Cloud Data Platform across three key areas: Automation solutions designed to digitize and streamline workflows; Intelligence that provides actionable insights to better understand medication usage and improve pharmacy supply chain management; and automation of medication dispensing Workflows, which includes expert services that serve as an extension of pharmacy operations to support improved efficiency, regulatory compliance, and patient outcomes. The foundation of Omnicell’s Autonomous Pharmacy vision is a cloud data platform, where every medication is considered a unique node on the network. Tracking each dose through every stage of the hospital, from central pharmacy through patient delivery, the platform will power Omnicell’s complete medication management portfolio, providing actionable intelligence that supports higher availability, improved security, increased computing power and a better experience overall. In the central pharmacy, Omnicell’s innovative automation solutions are designed to digitize and streamline workflows across the continuum of care. For example, IVX Workflow sterile compounding solution supports best practices in aseptic technique by providing step-by-step guidance for preparing IV doses according to set protocols – safely, accurately, and repeatedly. IVX Workflow is part of Omnicell’s full suite of IV automation solutions that support insourced sterile compounding. Insourcing IV compounding can provide up to a 66% reduction in costs, based on ROI modeling. On patient floors, Omnicell’s XT Series Automated Dispensing Cabinets help improve workflow efficiency, medication accountability, and patient safety through the latest hardware technology and smart software features including interoperability with EHR systems. Omnicell’s automated dispensing cabinets recently received the Best in KLAS ranking for the 13th consecutive year. Omnicell’s software solutions along with expert services serve as an extension of pharmacy operations to support improved efficiency, regulatory compliance, and patient outcomes. For example, Performance Center helps improve business and patient outcomes by combining cloud-based predictive intelligence with ongoing services that help optimize medication inventory, proactively manage medications shortages and expiration risk, and reduce overall medication expense. Customers have saved two to three percent of annual drug spend on average through Performance Center. XR2 as a Service combines the groundbreaking technology of Omnicell’s XR2 Automated Central Pharmacy System with dedicated resources to support a more comprehensive approach to managing pharmacy medication inventory. Designed to scale with organizational growth, XR2 maximizes the return on pharmacy investment, reducing administrative burden and allowing pharmacy leadership to focus on clinical care. These innovative solutions, which complement integrated technologies in central pharmacy, clinician workflow, and medication adherence automation, support the Company’s Autonomous Pharmacy vision.